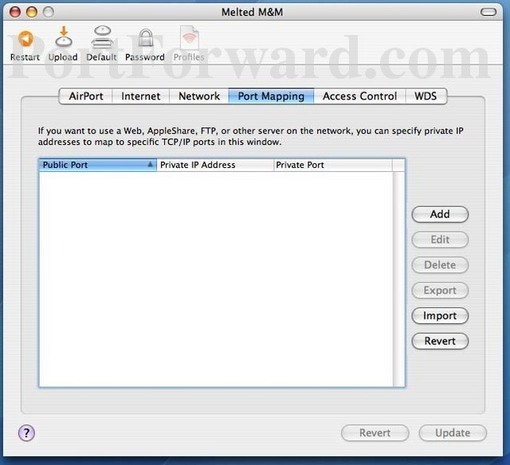 Setup a static IP address on the device you plan on forwarding these ports to. Login to your Apple AirPort Extreme router. Find the port forwarding section. Click the AirPort Admin Utility button. Select Apple Base Station from Select Base Station. Click the Port Mapping button. While all this may sound difficult, we plan on walking you through each step in the process. 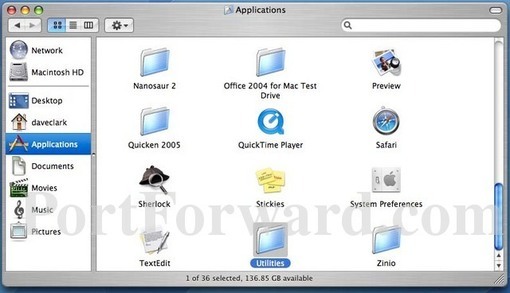 Open up the Finder on your Mac. Then, click the Applications button in the left sidebar. Next, select the option of Utilities in the center section of the page. 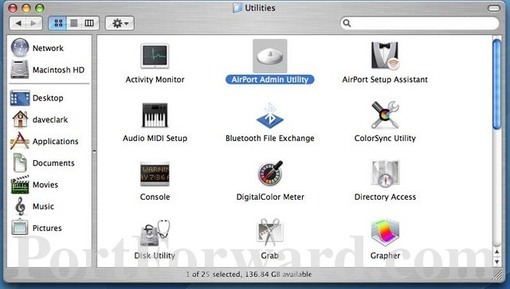 On the Utility page, choose the option of AirPort Admin Utility in the center section of the page. You should now see a page similar to the one above. There is a list titled Select Base Station. Under that heading is your list of base stations. Select the Apple Base Station you will be making changes on. 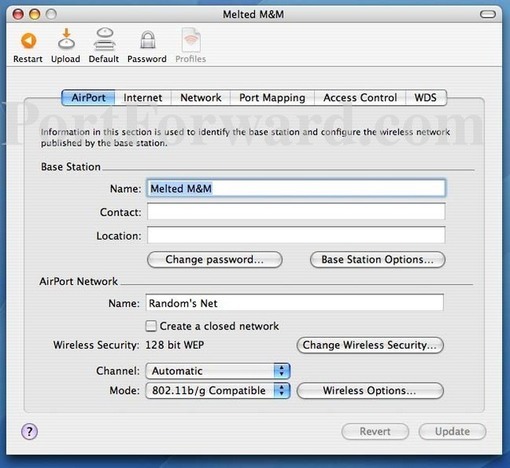 This list will only contain one station name unless you have multiple Apple Base Stations. First, click the Port Mapping option near the top of the page. Then, click Add on the right side of the page. You should now see a box a lot like the one above. Enter the same port number to be forwarded into both the Public Port and the Private Port boxes. Enter the IP address that you are forwarding ports to in the Private Address box. This is either the IP address of a computer or the IP address of another device on your network. Click the Ok button when you are all done. Click the OK button after each entry. After you have finished entering the appropriate data, click the Update button at the bottom of the page to save your changes. It is always a good idea to check your work. 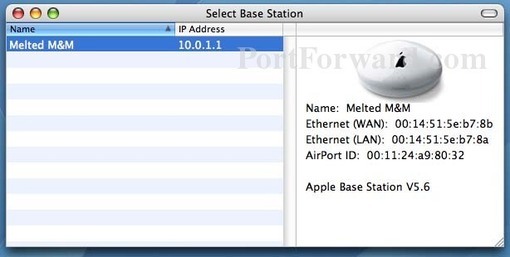 In order to find out if the Apple AirPort Extreme router forwarded the ports correctly we recommend using our free Open Port Checker. This is found in our free trial version of the Network Configuration Tools. How to Port Forward Behind Two Routers. A basic guide to using Wireshark.